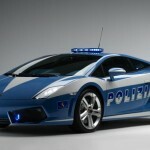 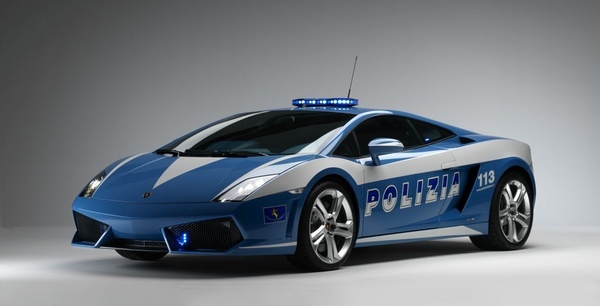 Italian state police have received a nice fleet of customized Lamborghini Gallardo LP560-4. 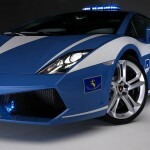 The Lamborghini is capable of reaching 203MPH and is equipped with all kinds of high-tech gadgets. 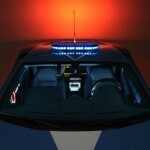 An automatic number plate recognition system can track and send plate data in real-time to central control rooms, while a forward-looking camera is capable of data-logging GPS information to the video information and transmitting the live feed to offices in real-time. 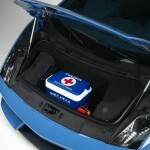 That vestigial trunk up front is put to good use as a first-response medical platform and refrigerated box for high-speed organ transport.